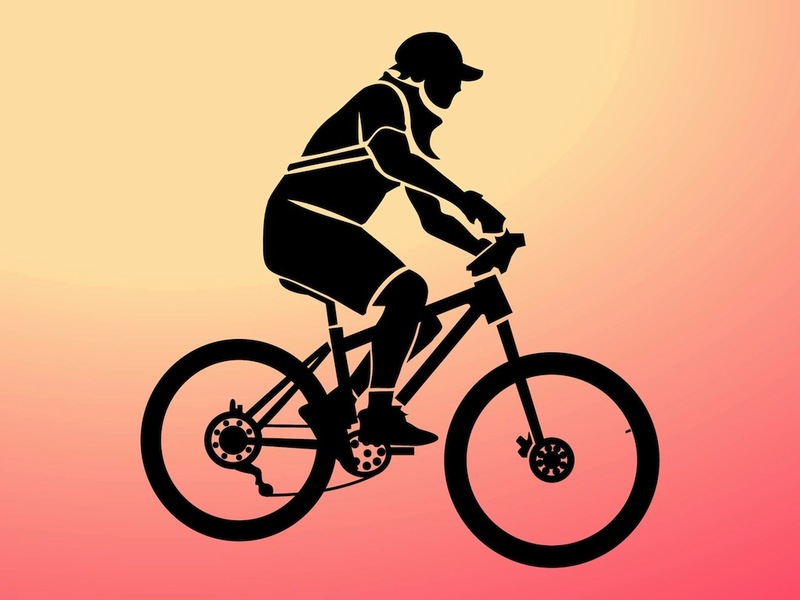 Vector graphics of a man riding a bicycle. Casual summer clothes – shorts, T-shirt, baseball and a messenger bag on the silhouette of the cycling man. Free vector illustration for all sports, keeping fit, newspaper deliveries, mail carriers, hobby and transport projects. Free silhouette graphics for stickers and decals. Tags: Action, Bicycle, Bike, Biking, Boy, Mailman, Silhouette, Sport, Transport.